Members of the public are invited to attend a free, family-friendly event celebrating the recent conservation work on the historic crusher building at Baravore on Saturday, March 25th. The open day will also celebrate the rich mining heritage of the Glenmalure Valley through a number of engaging demonstrations, talks and heritage trails. This event will introduce the public to the fascinating history of the large 19th century ore-crushing building which stands as a testament to the hard-working miners and pioneers who built their livelihoods around the rich natural resources hidden in the area’s valleys. Built between the years 1859-1860, the building is recognised as the finest existing example of its type in the country. Talks on the conservation of the building, the forestry, geology and natural heritage of the area and the near-by and historical, An Óige Hostel will be provided, along with archaeological and hot lime demonstrations and a walk along the old mining trail. “Whether you’re interested in history or just like getting out and about in the outdoors, this should be a lovely day out for all the family. The kids can see archaeologists at work inside the building, meet the stonemasons that conserved the building and hear about their craft and explore the site that forms such an important part of Wicklow’s mining heritage,” commented Deirdre Burns, Heritage Officer with Wicklow County Council. The crusher building was recently adopted by the local ‘Glenmalure PURE Mile’ group as part of the ‘Adopt a Monument Scheme’ currently being run by Abarta Heritage on behalf of the Heritage Council. The scheme, which was launched in 2016, empowers local communities to become actively involved in the conservation and interpretation of local monuments and sites in need of care and attention. ‘Glenmalure PURE Mile Group’ was one of six communities finally selected from over 90 applications for the scheme. The group was chosen due to their enthusiasm and interest in their local heritage and the support they receive from Wicklow County Council and the landowners; Coillte. In 2016 funding was secured from Wicklow County Council and Coillte through the Dept of Arts, Heritage, Regional, Rural and Gaeltacht Affairs’ Built Heritage Investment Scheme (BHIS) to conserve the crusher building and works were completed on the structure in November 2016. This year, the group will turn their attention to an older, more fragile crusher building that was badly damaged in recent winter storms. The group also hopes to continue working with Coillte and Wicklow County Council in order to open up publicly accessible heritage trails around the mining complex. Please dress for the weather on the day, wear appropriate footwear and bring snacks or refreshments as there are no cafes near-by! 11.00 am: Meet at Baravore Carpark. 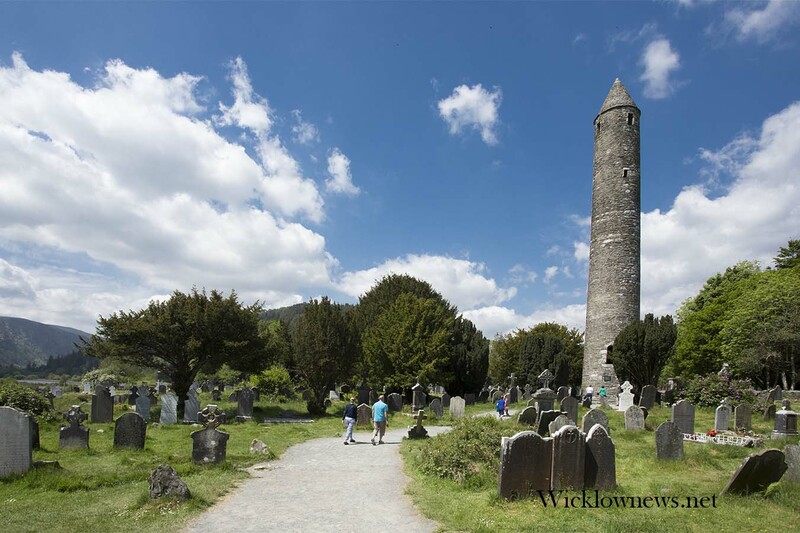 11.30 am: Welcome by Pat Neville, Coillte and Deirdre Burns, Heritage Officer for Wicklow County Council. There will be an introductory talk on the mining heritage of Baravore, the story of the crusher building and the geology and forestry of the area. 12.30 pm: A talk on the conservation works carried out and a lime mortar demonstration. 1.30 pm: An archaeological dig in the crusher building by Abarta Heritage in which the original flooring of the building will be revealed. 2.30 pm: A walk along the old mining trail to the An Oige historical hostel. 3-4 pm: Short talk on the history of the hostel and light refreshments.